Chilling comments made by the center’s owner indicate the level of regard (and lack thereof) for human life that has seeped into our nation’s pshyche. The “gift bag” idea drew laughter from the crowd listening to her speech. Chelian also described her idea of taking the bodies to the Upper Peninsula and setting them ablaze in a “bonfire” deep in the secluded woods. Her sickening words were caught on video by the undercover project of the Center for Medical Progress. This video was removed from You Tube pending an on-going court case with the CMP. 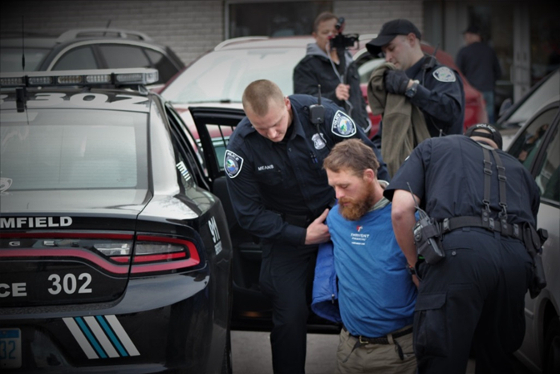 The pro-lifers’ trial was scheduled to begin today at 8:30 at the 41st District Court, 40111 Dodge Park Rd, Sterling Heights, MI 48313 before Judge Sierawski. ← Why Wasn’t Nassar Stopped In 2014? Or In 2016?